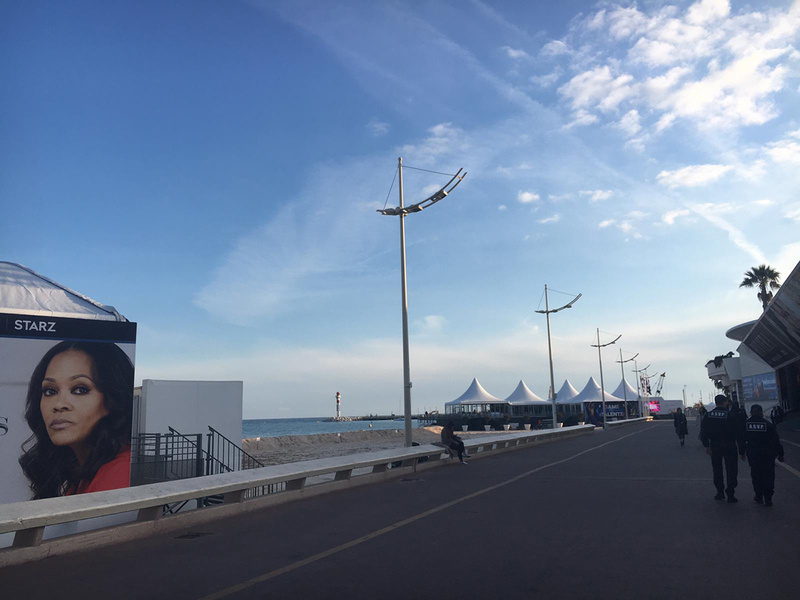 MIPTV organiser Reed Midem is understood be approaching distributors with stands situated outside the Grand Palais with proposals to move inside the building for forthcoming editions of the spring market. TBI understands that Reed Midem has been holding exploratory talks with a number of distribution outfits across MIPTV, which kicked off on Monday (8 April) and is to end on Thursday (11 April). They are giving distributors with a physical presence outside the Palais the option of paying less for MIPTV stands by moving them inside with other exhibitors. If such a plan goes ahead, business at MIPTV would be located entirely within the Palais. Reed Midem would also save on costs associated with renting space outside the Palais for businesses that no longer attend MIPTV, such as Sony and Disney. This year, Fox – which was recently acquired by Disney – is also absent for the market, meaning there is a long stretch of empty space between the joint eOne, Lionsgate and Kew Media Group stand and Fremantle at the other end. Exhibitors currently located outside the Palais for this year’s edition of MIPTV include Fremantle; eOne, Kew Media and Lionsgate; ITV Studios; Inter Medya; Warner Bros.; Banijay Group; Endeavor Content; and Daro Film Distribution. Laurine Garaude, director of TV for Reed Midem, confirmed to TBI that moving external exhibitors inside the Palais is one of the options being explored with clients. The business is, however, adamant that it will collaborate closely with exhibitors to “co-create” a new plan. “We are looking to reimagine the exhibition for an entirely new kind of experience,” says Garaude, adding that such a move is “not about moving people” but, rather, creating something “entirely new” for MIPTV. Garaude says that any changes will only impact MIPTV. October’s MIPCOM market would be unaffected, and it is understood that outside exhibitors would be able to maintain their stands. Firm plans for a reimagined MIPTV market are expected in the coming months. Reed Midem has said that this year’s MIPTV has drawn 9,500 delegates from across 100 territories. Buyers and commissioners constitute around 3,300 of the figure. For the first time, both BBC Studios and Endemol Shine Group are absent from Cannes, sending only a small team of select execs to represent the business, as reported by TBI last month. Mediawan has taken over the BBC Studios stand while Endemol Shine’s stand is unoccupied. According to the organiser’s figures, last year’s MIPTV hosted 10,000 participants, including 3,600 buyers. Attendance is in stark contrast to MIPCOM, which is still a must-attend event for most in the TV industry. Last year’s event in October drew 13,800 delegates, including more than 4,800 buyers, according to official numbers.